A very clean, handsome edition of what for many is true fishing essential. 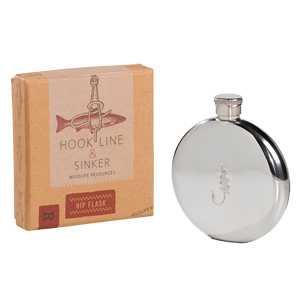 Crafted in stainless steel, this 5 ounce flask will provide many years of service. The design has a good feel in your hand and your pocket. Box 4 x 3.5 x 1 inch, flask is about the same.